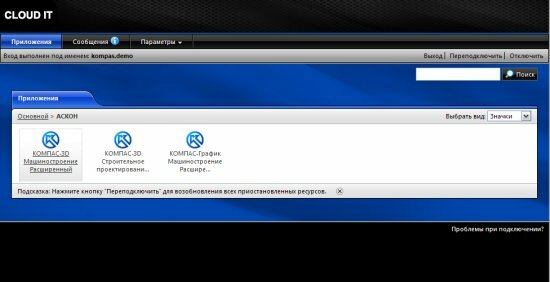 As we know from the "leak", published by CNews (in Russian), ASCON will announce the commercial availability of online version of KOMPAS on isicad-2010 forum, which will be held September 21 in Moscow. Now service is in beta and demo stage. 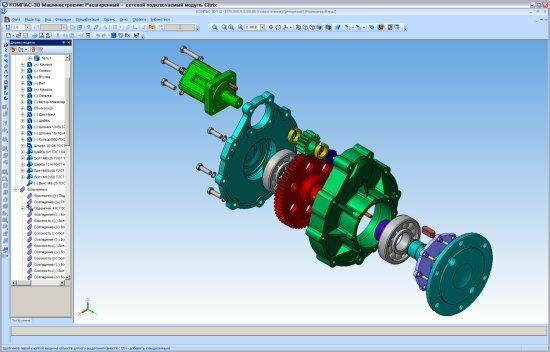 ASCON kindly provided isicad.ru with opportunity to test the system. So, first impressions, literally piping hot. In this post I will not deal with the new product features appearing in the KOMPAS version 12, I will focus on the features (or lack thereof, if you like) are inherent in the online version. Indeed, installing KOMPAS on your PC is not necessary anymore, it works on the data center, provided by Cloud IT. Nevertheless, you have to install a small (11Mb) plug-in for the browser and once reboot the computer. Then just enter the username and password, select desired application in the ASCON folder: KOMPAS-3D for engineering or structural design or 2D KOMPAS-Graphic. The screen shows a new window, which is a virtual display, in which KOMPAS is "launched". For the curious, the server that actually turns the program is running under Windows Server 2003 Enterprise Edition. User interface and behavior of online KOMPAS is no different from the local - the usual panel of buttons, menus, dialog boxes, hot buttons. Similarly works on-line help. From the perspective of the files – for you all looks as you're working on another computer with its own file system and folder structure. From the nit-picking I’d only mention that online version does not work with 3D manipulator. Printing to a local printer is no different from working with the local version. 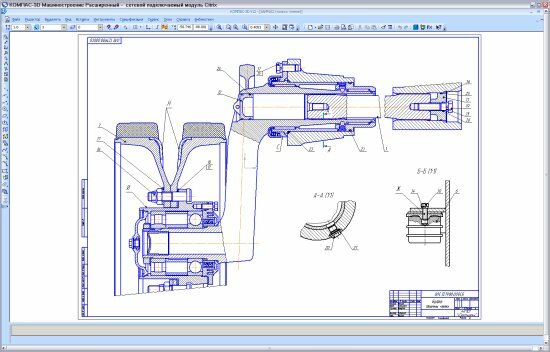 Tools for creating and editing parts, assemblies and drawings work completely analogous way as if I had worked with the program installed on my PC. 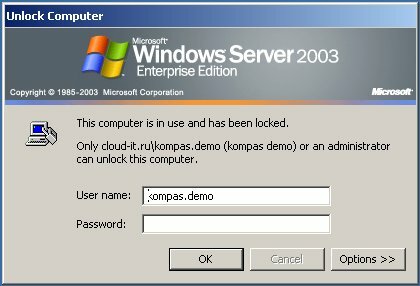 What is remarkable - if for some reason you have interrupted session on your PC, such as switching off the session, the KOMPAS on the server still "alive" and the next time you login to the Cloud IT you find exactly the same context of the work. Online KOMPASS starts almost instantaneously, compared with the launch of similar systems from local disk. In one session KOMPAS consumes just about 29Mb of RAM, even if you upload a few complex models and drawings at the same time - so it can run even on low-power netbook. Redraw speed is quite comfortable and, most importantly, no longer dependent on the performance graphics card to your PC. 3D models regeneration speed is very high, though I do not know how many more users were at the time of my tests. A small hitch - the maximum size of virtual display window is limited and a bit smaller than my actual screen. Perhaps it is controlled by some settings on the side of the data center administrators. It is unclear how to load models and drawings from the local PC to the online version, as well as how to get data from the server. Perhaps this is limitation of the demo version. Overall impression is definitely positive. System works stably and quickly with a minimum consumption of resources in the local PC. Those cavils that I have probably can be eliminated by the settings on the side of the data center administrators. ASCON and Cloud IT managed to create such solution, which shows the maturity of the technology and expertise. I will not try to predict how much of demand it will develop on the Russian market in the near future, but it would be interesting to see the reaction and foreign visitors, too. We will continue testing the online KOMPAS and will report its results.